A LOCAL landmark, the old Pink House, across from the Calliope Historical Village is on the move. New owner Nikki Cross bought the historic home and will move it to a property south of Gladstone. "I think everyone knows it as the Pink House and I've always wanted buy it," she said. Last year, Nikki and her husband, Michael, were passing by the site and noticed some people underneath the house doing some cleaning up. "We just drove in for a chat and eventually we asked if they were interested in selling," she said. "They were, so we made them an offer, it was a case of perfect timing." According to local historian Paulette Flint, the Pink House was built on the site of the original River Hotel. The first hotel was built on the old coach road by Charles Welch in 1875 and it passed to his son-in-law Robert Vallis. In 1917, the original building was pulled down and a new home was built by Mick Busteed using materials from the old pub. Calliope resident, Gary Sawyer, said he lived in the house for a few years as a boy with his uncle Larry Vallis. "He had been in the light-horse brigade during the war and returned to live in the house - we had a lot of fun there," Mr Sawyer said. The house eventually changed hands and was repainted the distinctive pink colour by the new owners. Nikki says she doesn't mind the colour. "It will always be called the Pink House, but I don't think Michael is keen to keep it that colour," she said. The kitchen was recently separated from the home and it is expected both sections will be moved to the property this weekend. "I'm planning on a full renovation, but we're going to try and keep it as original as possible," Nikki said. Even the old stumps the hotel rested on have been kept. "We'll be restoring them too, because one of the posts has a flood mark on it from the early 1900's," she said. 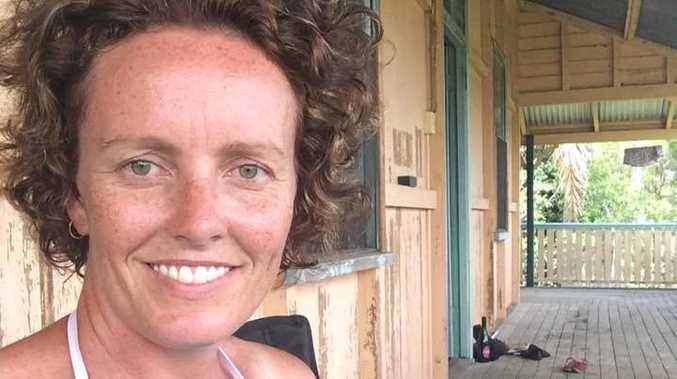 Nikki is keen for locals with stories or photos of her new, old, home to contact her on Facebook.